Passion in Heart And Soul. 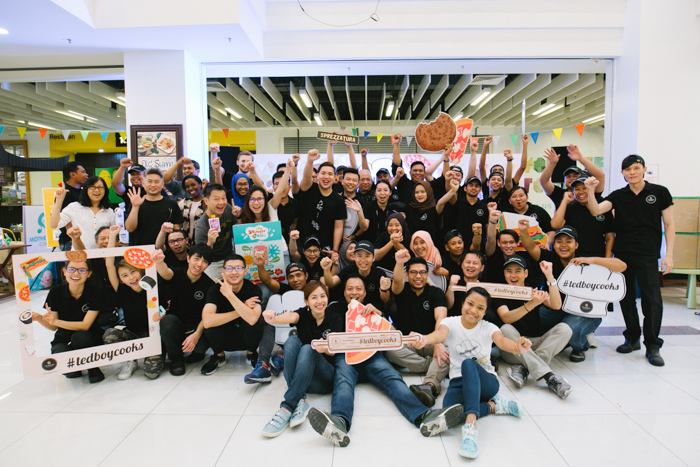 We’re always looking for people with passion in their heart and hunger in their tummies for good and healthy food. If you’re that type of person, we would love for you to join our Tedboy family! We would never put you in a difficult position and expect you to be a food connoiseiur on your first day. There is more than just good food! We will have you start off as a trainee as part of the floor crew, so you will get used to our bakery cafe life. We encourage you to try different roles and learn new skills (who knows you’ll find your hidden talent or passion along the way!). You’ll receive all the support, mentor and encouragement from everyone in the team. What is Tedboy all about?